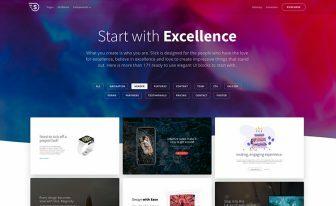 Download Fitnezz, the free fitness website template, to build a successful website for gym, yoga center, wellness blog, and related fitness niches. 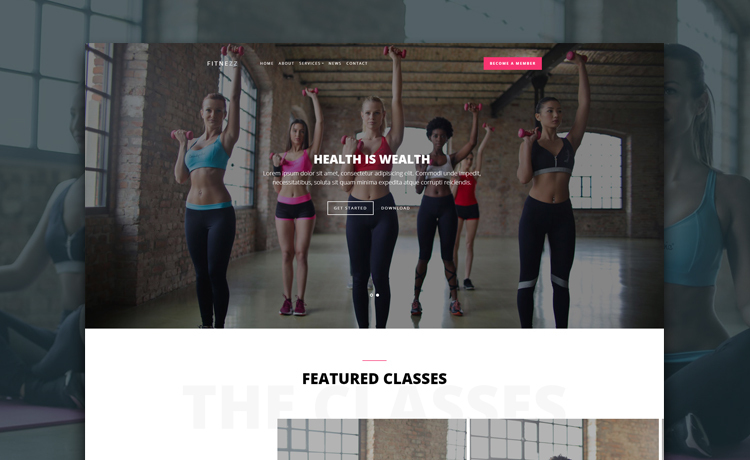 If you’re already in the fitness industry or about to launch a fresh business, Fitnezz free fitness website template can help in a great manner. 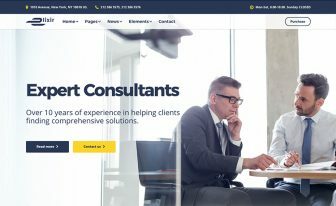 To make your web presence more profitable for your physical organization, you need to consider a mobile-friendly and visually appealing website. Fitnezz is your growth partner with charm and power composed in every part of it. Moreover, it comes with several ready pages and the free website template is applicable to multi-niche sites. For instance, yoga, fitness blog, health tips, and indoor sports can be a great match other than gym websites. 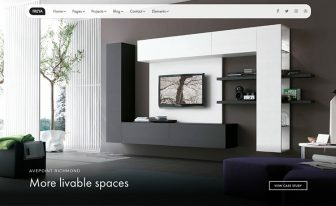 The straightforward layout of Fitnezz begins with the uniquly designed full-width slider. This way you can make the first impression strong and splendid. Similarly, it holds a ghost button and a simple menu enabled with dropdown option. To explain more, you can add featured class and schedule for the regular classes in two separate sections. 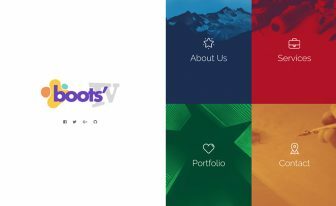 As this free Bootstrap template is completely responsive it looks uncluttered on all devices regardless of their platform and screen size. Furthermore, with multiple ready-to-use pages, you can generate whatever you want for your business. As the services page allows to demonstrate what you offer so the news and event page is a good fit for the blog section. Lastly, the contact page is a nice place to get the audience in touch. We have more templates like this in Fitness category. 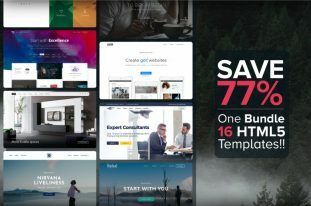 Download free HTML5 templates from our site. We love to see you grow with your business and entrepreneurship. On that note, nothing is comparable with our Posh template. Yeah, it’s that good!